LEGS has surveyed, investigated and designed a diverse range of stormwater drainage systems for a number of Councils and developers within NSW. Examples of previous projects are following. Walcha Council - Walcha Township and Flood Levee Study. 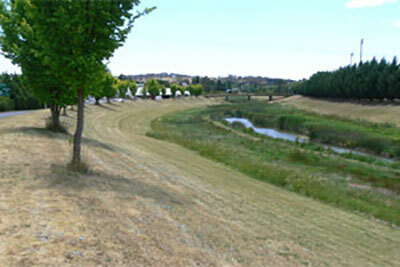 Survey and modelling of the existing drainage network and upgrade of existing levee levels. Guyra Shire Council - Guyra Township Drainage Strategy. Survey and network analysis including design of drainage improvements. Tenterfield Shire Council - Drainage Strategy Plan for a number of main roads within Tenterfield. Port Stephens Council - Caswells Creek Bridge Replacement. 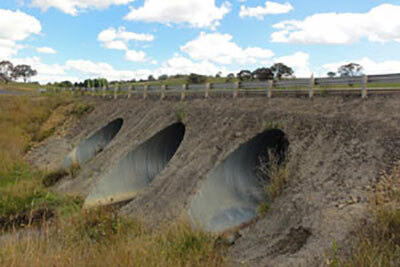 Hydrology study and options report including detailed design of multi-cell box culvert. Walcha Council - Rocky Gully Bridge Replacement. Hydrology study and options report for replacement structure. Port Macquarie Hastings Council - Hydrology calculation and report for replacement of 2 bridges over Camden Haven River. Tweed Shire Council - Buenavista Drive Drainage Investigation. Modelling of an existing urban drainage network and design of works to alleviate flooding. Port Macquarie-Hastings Council - Castle Street upgrade. Analysis of existing system and design of drainage upgrade works. Gwydir Shire Council - Analysis of existing stormwater systems and development of drainage solutions for townships of Bingara and Warialda. Bourke Shire Council - Bourke Stormwater Management Plan. 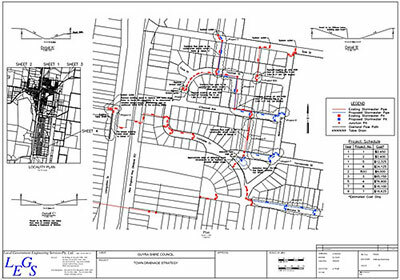 Drawings, reports and specifications for upgrading of stormwater drainage network within the township of Bourke. Narrabri Shire Council - Stormwater Management Plans for the townships of Wee Waa, Boggabri and Narrabri.